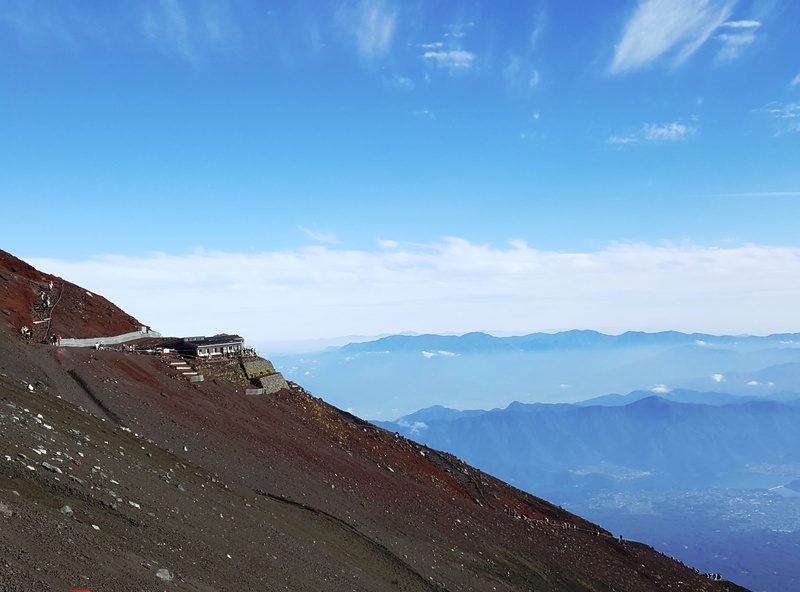 I was talking with one colleague who was about to leave Japan and move back to his country after four years here and he said that the only thing he regretted at the time was not to have climbed Mt. Fuji. Given that this year could me my last in Japan as well, it made me think. Then someone else said something along the same lines, and before I realized it, I was on the list for Mt. 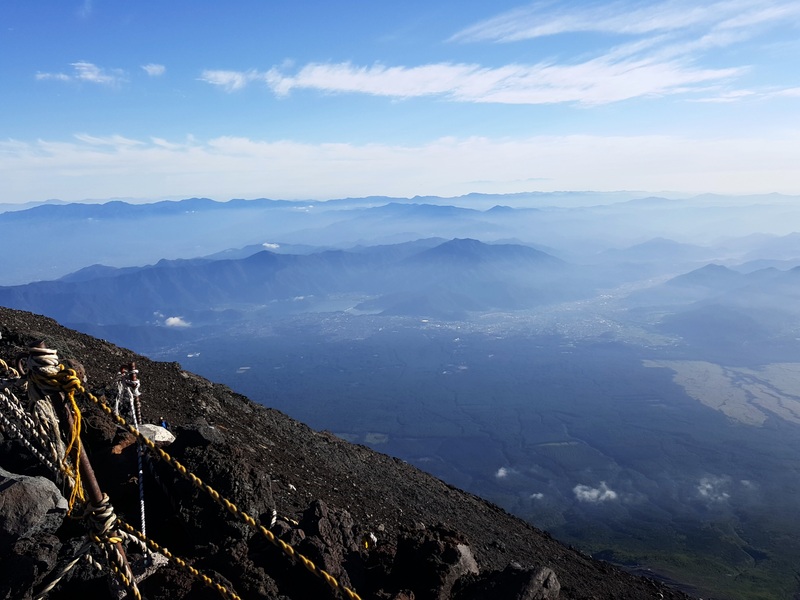 Fuji climbing trip. Another shot of Mt. Fuji from a distance. 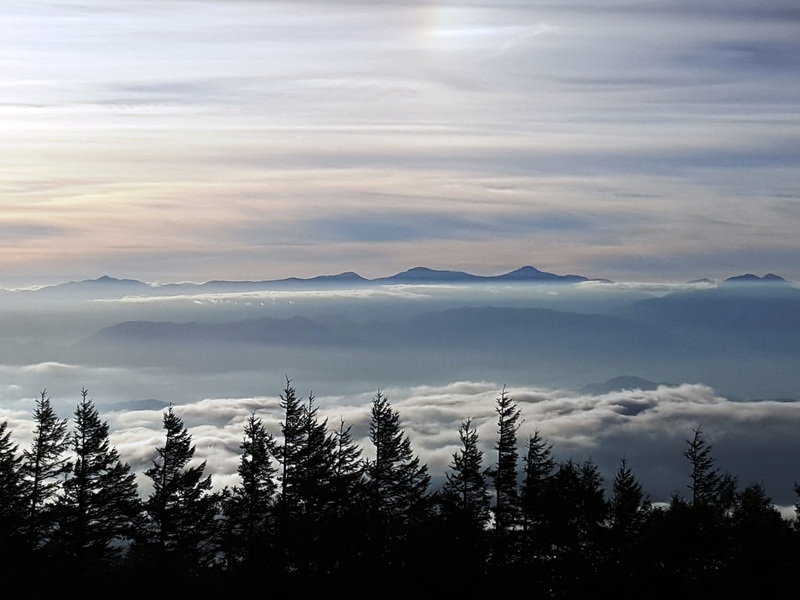 For those, who are mountain enthusiasts, it may not seem a big deal, yet I am not one of them. After all, Mt. Fuji is the tallest mountain in Japan, with its peak at 3,776 meters above sea level. 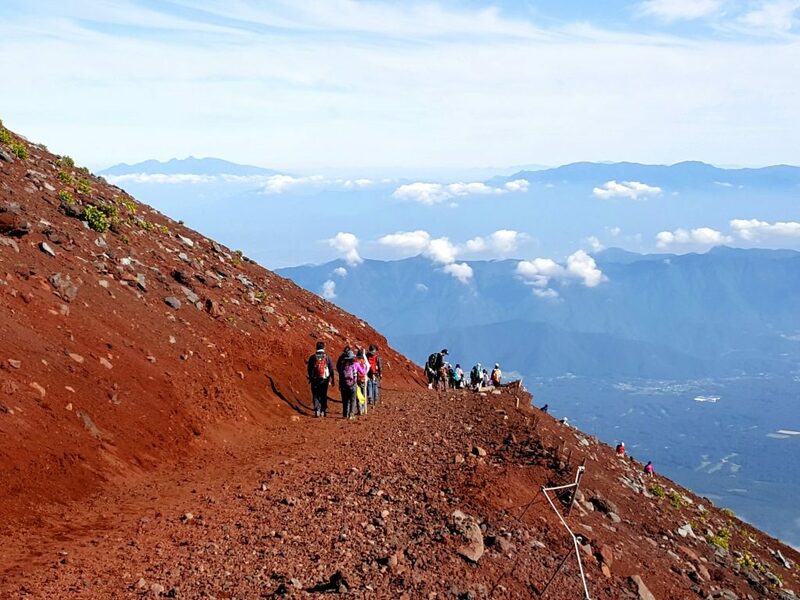 It is also considered a sacred mountain and each year, during the short climbing season, thousands of people attempt to climb the volcano (yes, it is also an active volcano, even though currently dormant! ), hoping for the good weather and an unforgettable sunrise. That peak in the distance… correct, that’s Mt. Fuji! Mt. 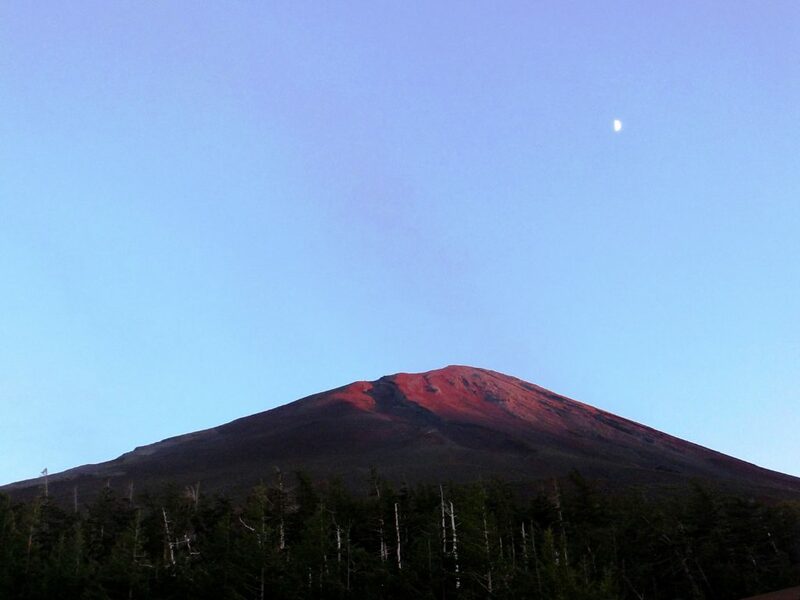 Fuji has been inspiring travelers, pilgrims and artists for ages. 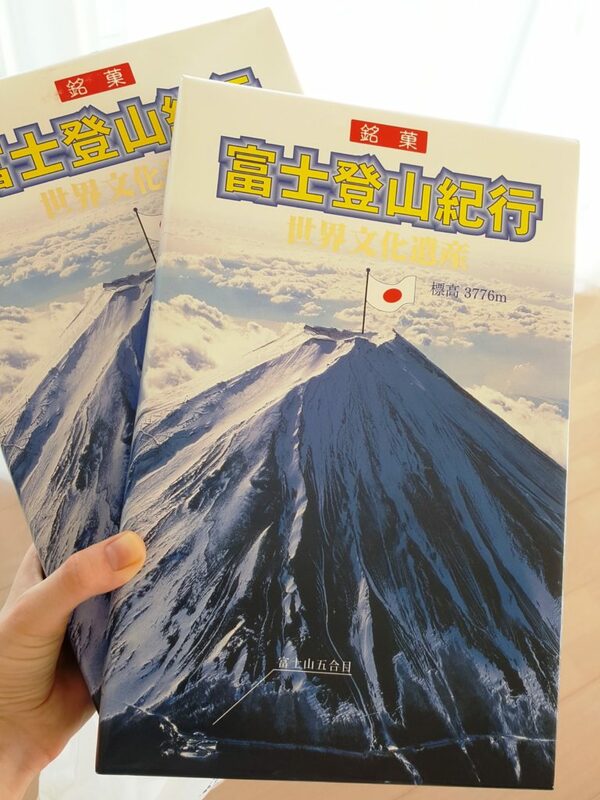 Even if you do not know it, you have surely seen pictures from the Thirty-six views of Mt. Fuji series by Hokusai. 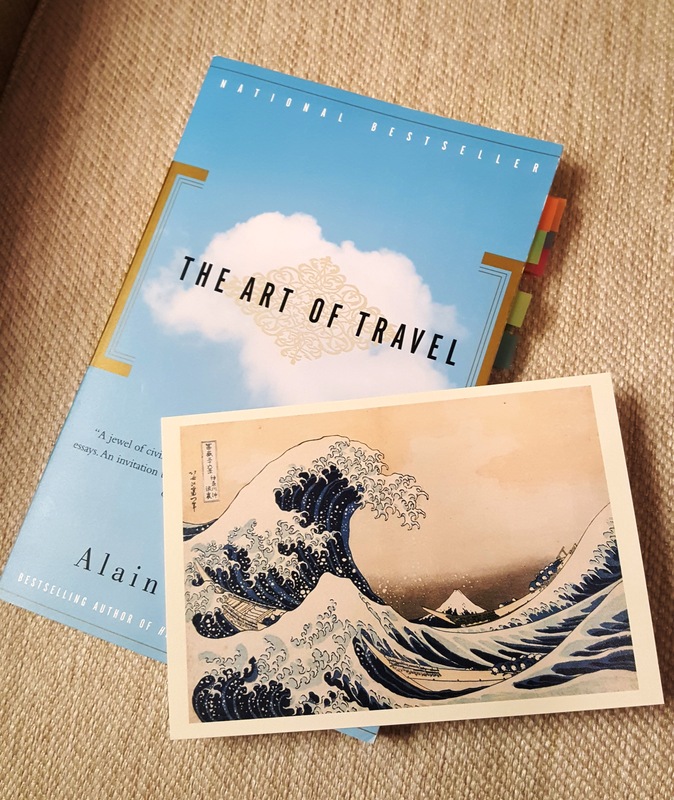 The motives of Hokusai’s prints are used in many postcards, publications, souvenirs and other items. Notice Mt. 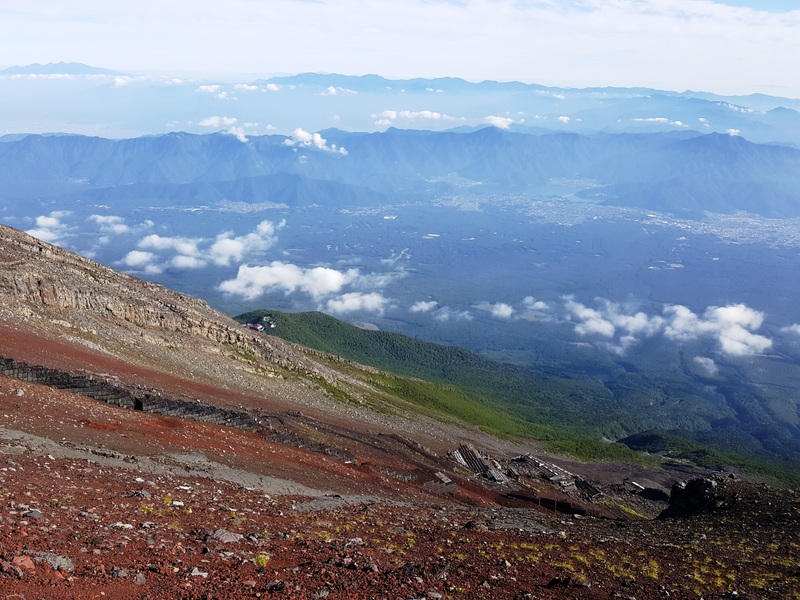 Fuji in the postcard – that’s no. 2 in the Hokusai’s series. You may have seen this photo in one of the earlier blog posts about Van Gogh and Japan. 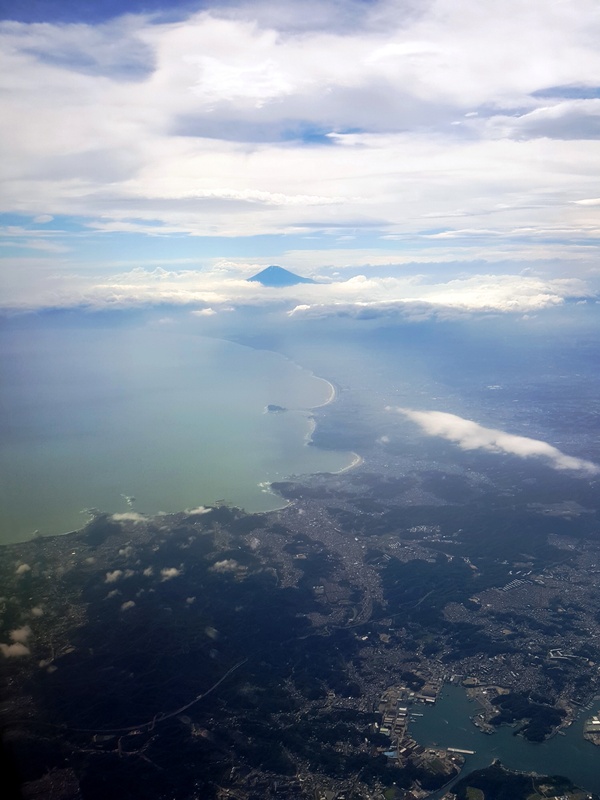 Each time I happened to be flying over, I was looking at Mt. Fuji’s peak from the plane and wondering if it really can be so (relatively) easy, as it sounds from numerous stories of those who did it. Can it be as easy as it sounds? Mt. 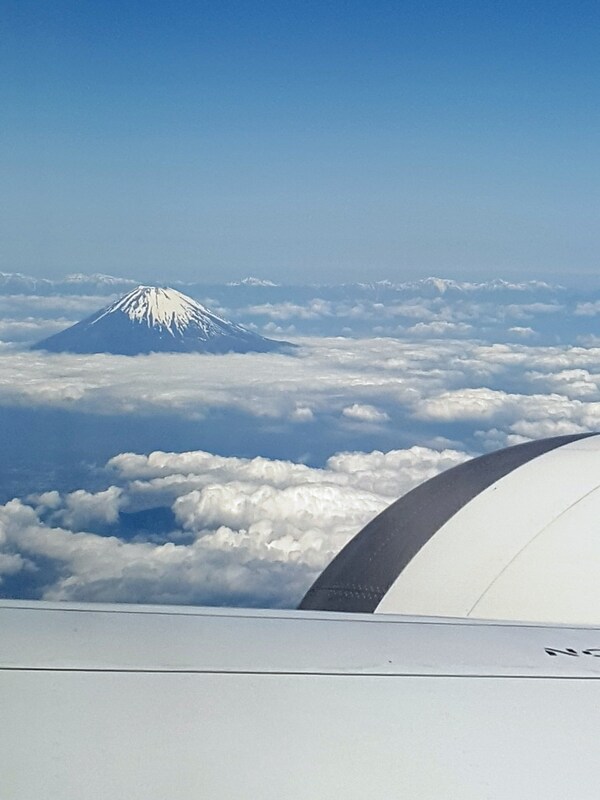 Fuji peak as seen from the plane. It seems, not only Japanese artists have been inspired. Curiously enough, I learned that there is a French version – “Thirty-six Views of the Eiffel Tower” by Henri Rivière, published in 1902. While it was inspired by the Hokusai’s work (remember, japonism was very trendy at the end of 19th century), and captured the moments from the Eiffel tower’s construction and also the complete tower in various Parisian landscapes, his work remains almost unknown. Simply, it took about ten years to prepare the book and by the time of its publication in 1902, Japonism trend was already “replaced” by Art Nouveau style. Coming back to Mt. 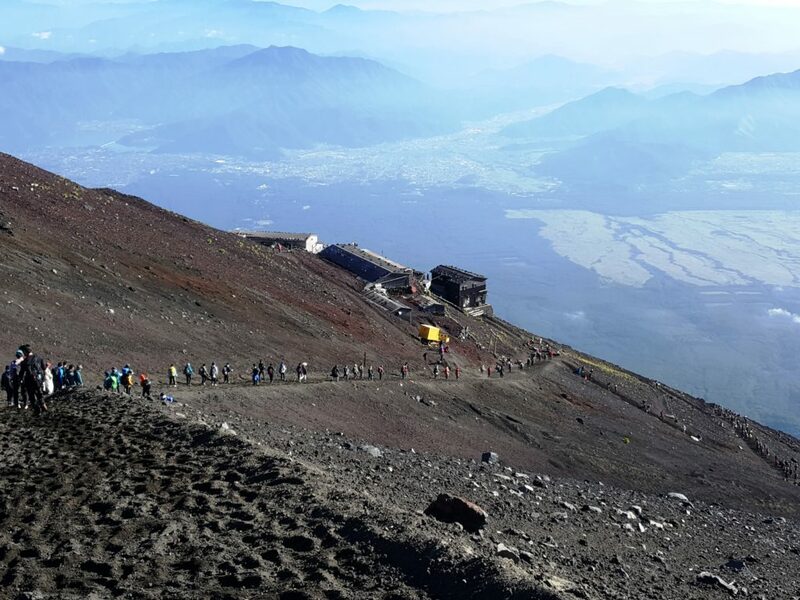 Fuji and the climb, most climbs start from the 5th station at 2,300 meters altitude. 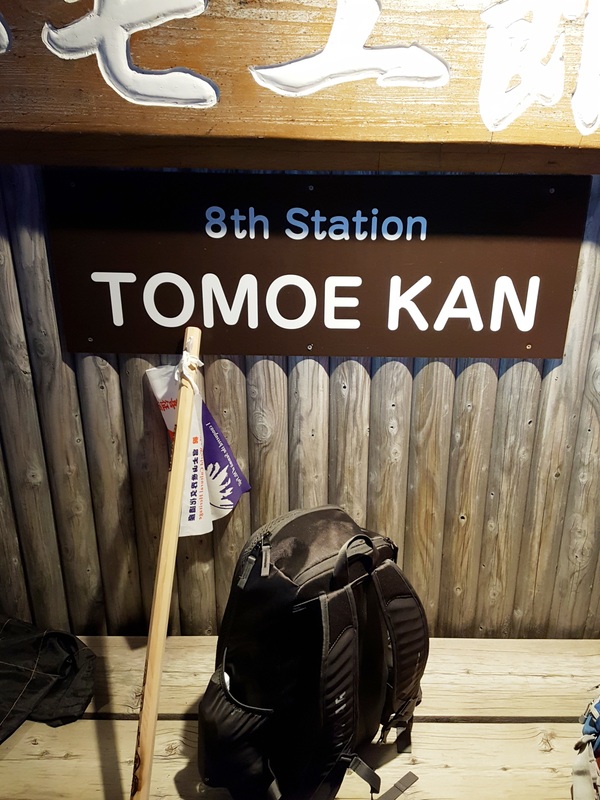 5th station, ready to start! 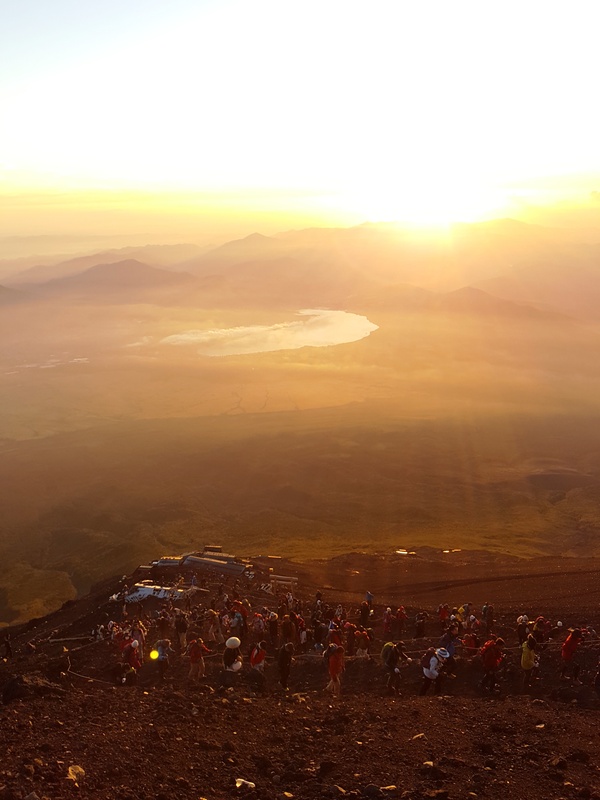 Evening at the 5th station (2,300m). Even so, it is approx. 1,500 meters in altitude to go, which is more than 4 Eiffel (or Tokyo) Towers, or alternatively, almost 2.5 Tokyo SkyTrees one on top of the other. Mt. 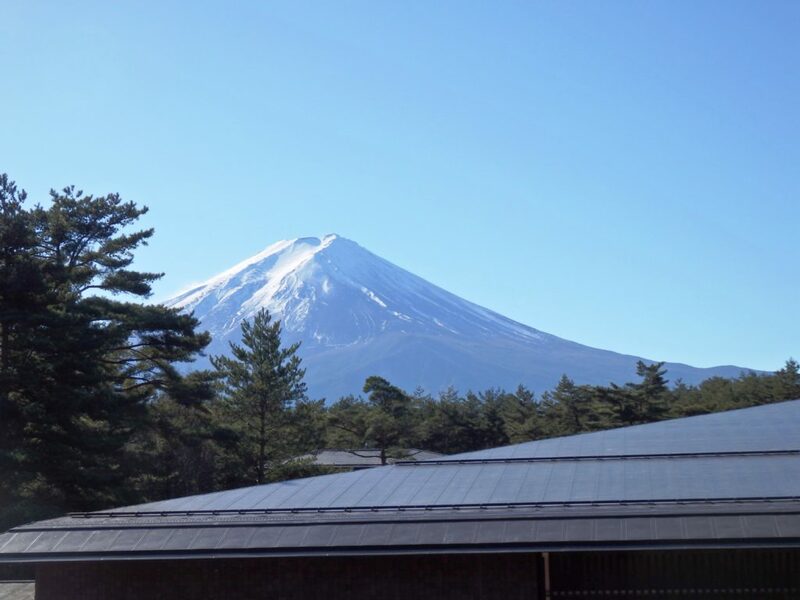 Fuji peak as seen from the 5th station, before the climb. It is possible to climb in parts and get some sleep in a mountain hut in between, though I went for the no-sleep option. 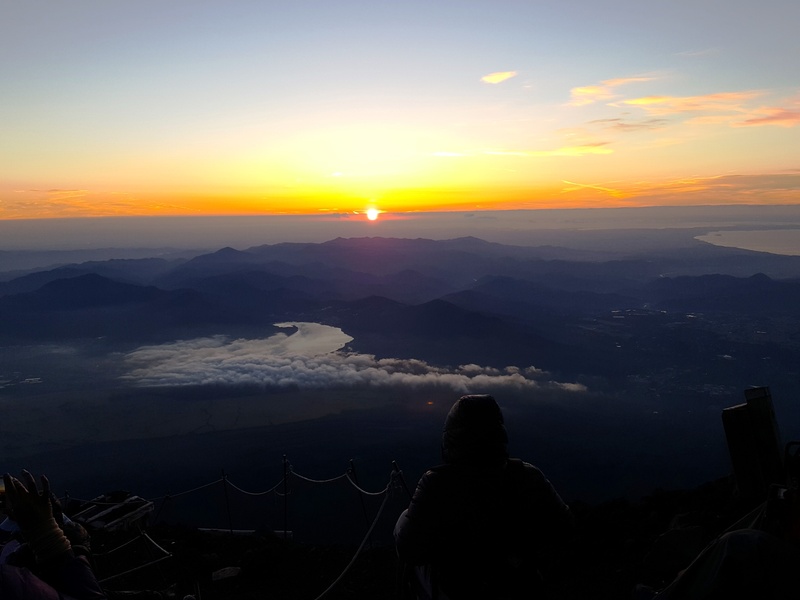 It meant leaving the 5th station around 7:00 to 7:30 pm (after witnessing a gorgeous sunset from the 5th station) and climbing overnight, with short stops at various stations for acclimatization to altitude. There is no rush to reach the top too early, as the “prize” would be a long wait in a freezing cold. On the other hand, the path gets so crowded the higher you go, that you cannot climb fast even if you wanted and a lot of time goes by just queuing and waiting for your next step upwards. I was there right for the sunrise, which was at 4:45 on that day. 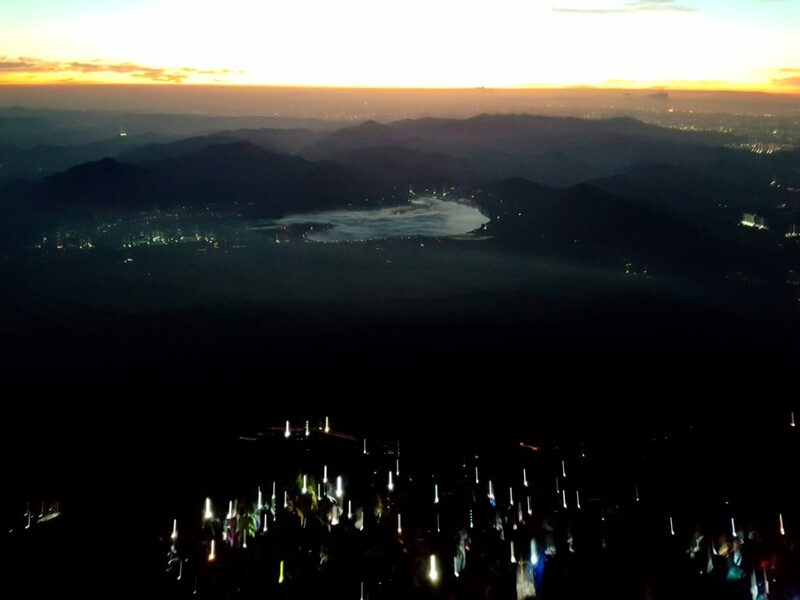 Before sunrise: you can already see valleys behind the mountains; all the lights are fellow climbers on their way up. I must say that the experience is unforgettable, and you start to appreciate it even more as the time goes by. 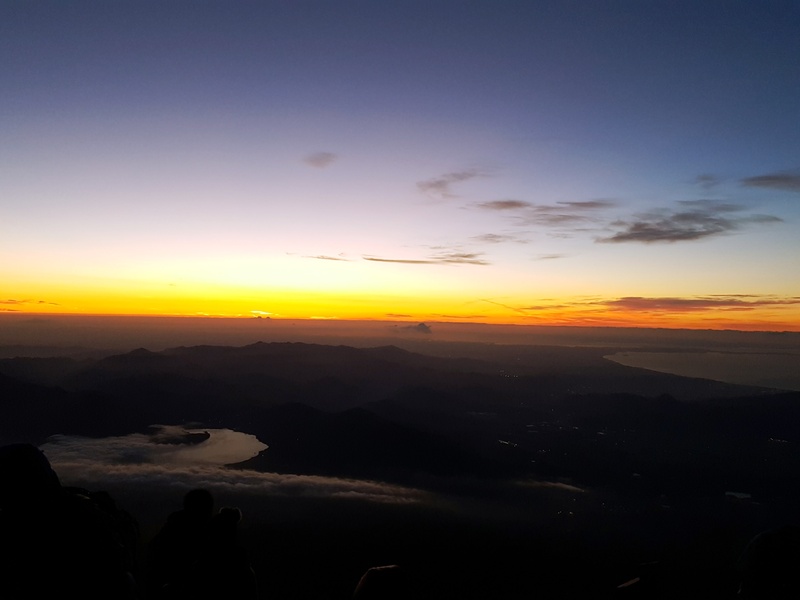 At the time when you reach the top, you are tired after a sleepless night climbing up, but I must say that the sunrise was like a boost of energy that kept me going for the next five hours or so while on the top and all the way down. THE Moment we’ve been waiting for! Climbers, finishing up the last bit to the top in the morning sun (right after the sunrise). In total, it took me about 15 hours to go up and down, back to the bus at the 5th station. My legs hurt for a few days afterwards, but the whole experience seemed more and more magic in a way. On the way down, I especially liked the changing colours and how they resonate and contrast with the blue sky. On the way down, looking down. The views, valleys behind mountain chains, sky full of stars (even though you cannot enjoy them that much as you have to look under our feet as you climb), amazing sunrise, the views all around in the daylight and the fact that virtually all the time, you are walking way above the clouds – it would be more than enough for yet another thirty-six views series. 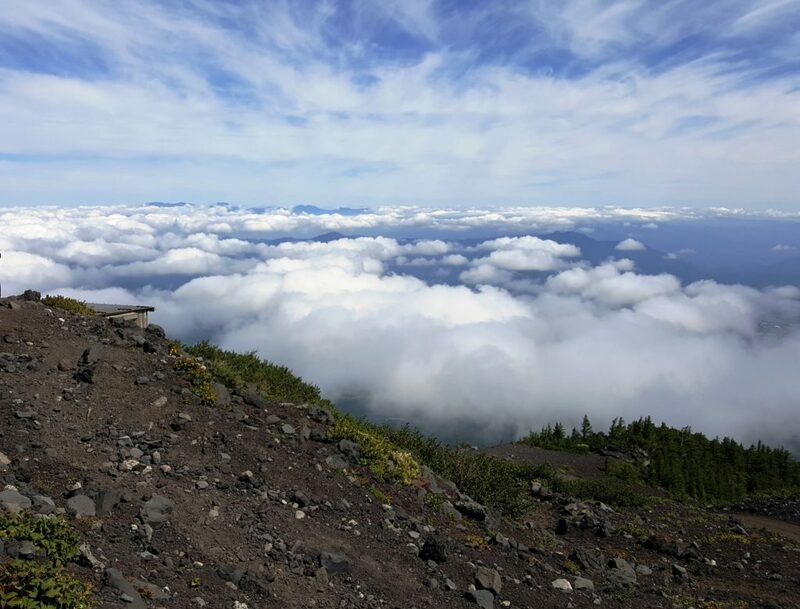 Above the clouds, back to 6th station. I find Mt. Fuji amazing when seen from a distance and when it is not hiding behind the clouds (being a shy mountain as it is), even more so now, as each time I see its peak, I think to myself – “I have been there!”. With September, the Mt. 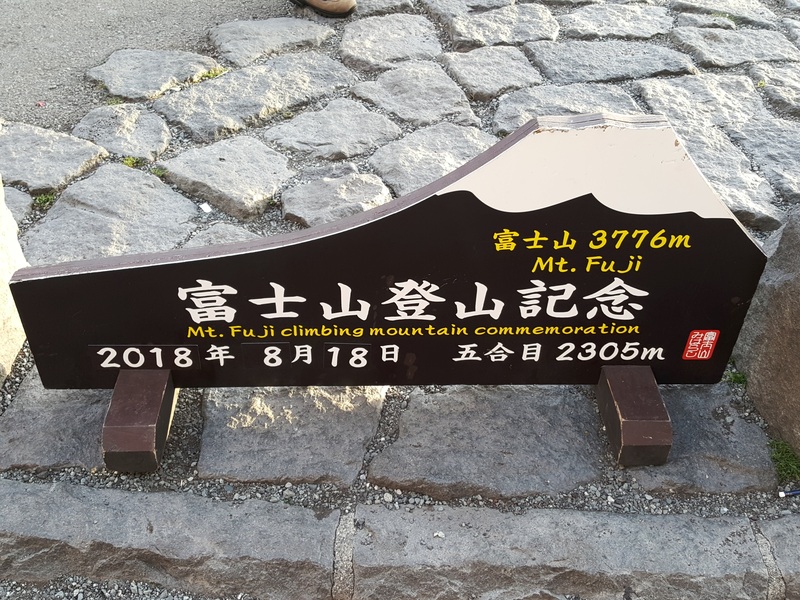 Fuji climbing season is officially over for this year, and I am really happy that I will not have to say “this is the only thing I regret of not having done while in Japan”. This entry was posted in Discovering, France vs. Japan, The rest of Japan and tagged 36 views, climbing Fujisan, climbing Mt. 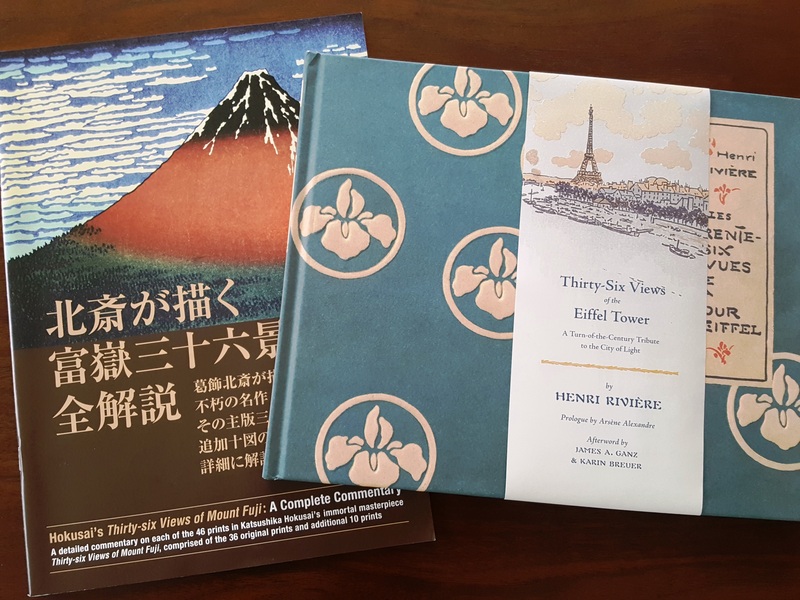 Fuji, Henri Rivière, Hokusai, Mt. 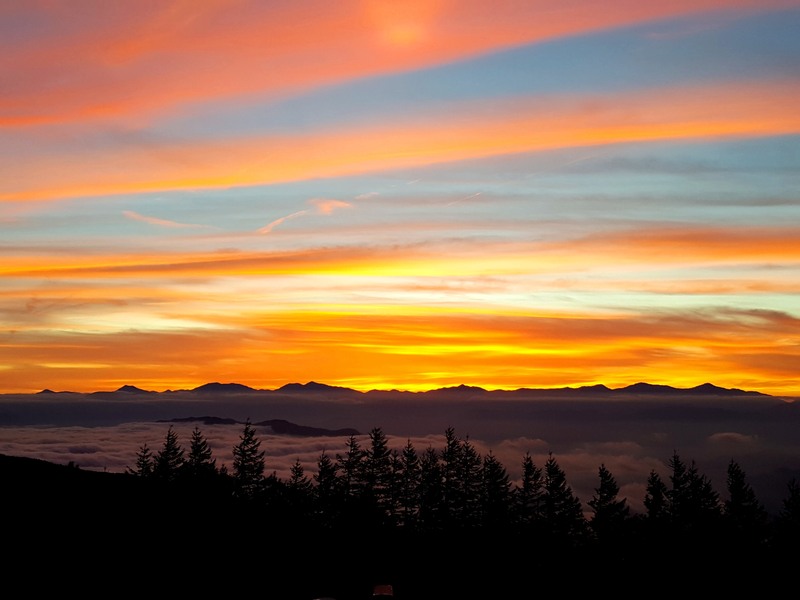 Fuji, sunrise from mt. 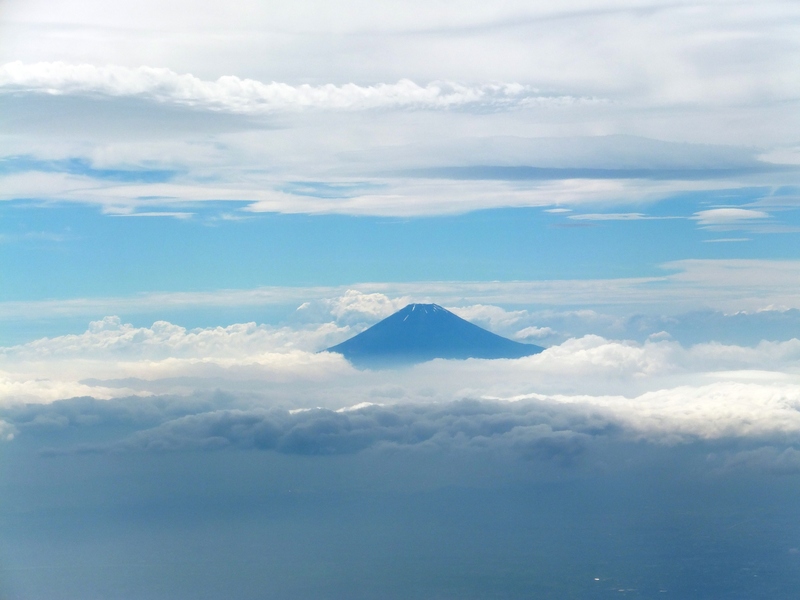 Fuji, Thirty-six views by Madame. Bookmark the permalink.